Both the cricketers achieved new records. 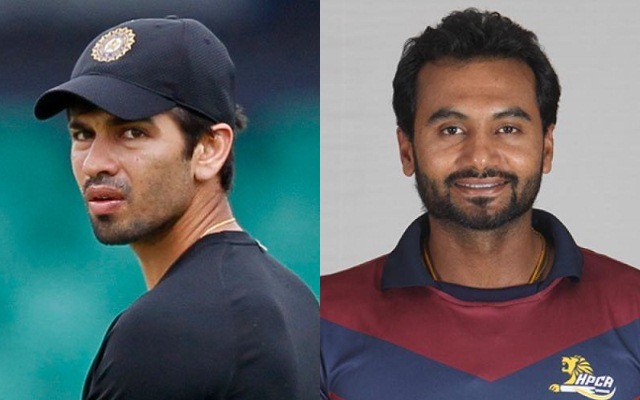 Naman Ojha and Paras Dogra climbed to the top of a couple of lists in Ranji Trophy history on the first day of the fifth round of the tournament. Paras, who shifted to Puducherry from this season, scored 253 in only 244 balls with 30 fours and seven sixes. Dogra’s knock helped his team to finish on 418/4 on the first day against Sikkim. Naman, the Madhya Pradesh skipper, claimed three catches behind stumps against Hyderabad, who were bowled out for only 124 thanks to Avesh Khan’s 7/24. 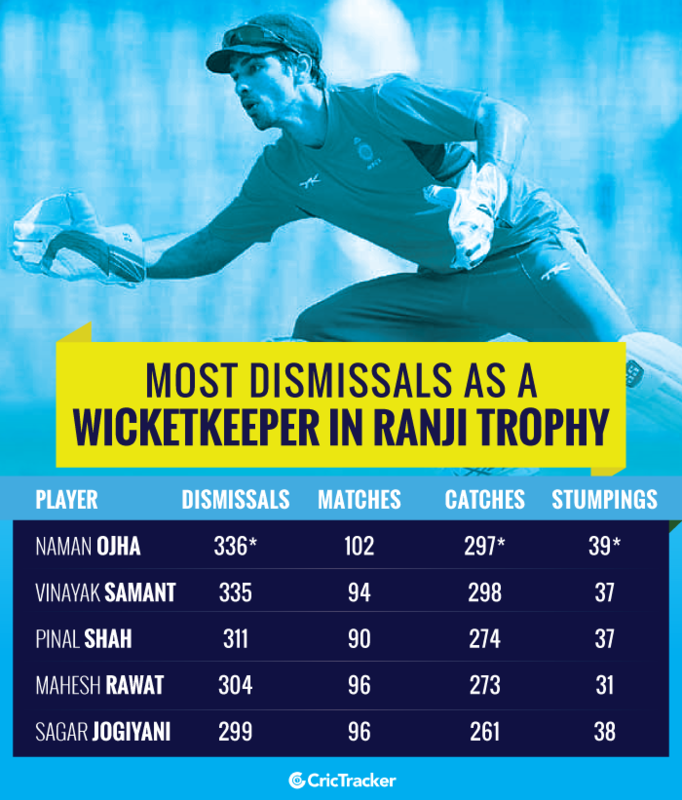 Naman Ojha, who had 333 dismissals in Ranji Trophy prior to the game, stood second on the list of most dismissals by a keeper in this history of the tournament. Mumbai’s Vinayak Samant, the first-ever wicketkeeper with 300 Ranji dismissals, led the list with 335 dismissals. Ojha levelled Samant with two catches off Avesh in the same over. Ojha claimed the record dismissal shortly after Lunch when Ravi Kiran edged one off Kuldeep Sen. Naman is now three catches away from becoming the first wicketkeeper with 300 catches in Ranji history. The former Himachal Pradesh player, Paras Dogra, scored his 8th double century in Ranji Trophy. The 253 in this game was his first for Puducherry with the previous seven coming while playing for Himachal. With this double, Dogra now holds the record for scoring most number of 200s in the history of Ranji Trophy. The 34-year-old went past Ajay Sharma of Delhi, who scored seven double tons in India’s premier first-class tournament. Dogra walked to bat in the first over after Thalaivan Sargunam bagged a three-ball duck. In the extended first session, Paras ended up scoring 104 off 130 balls. Thus, he became only the 3rd player in Ranji Trophy to score a century before lunch on the first day. Bharat Awasthy and JN Seth achieved this feat while playing for Services and Delhi respectively. 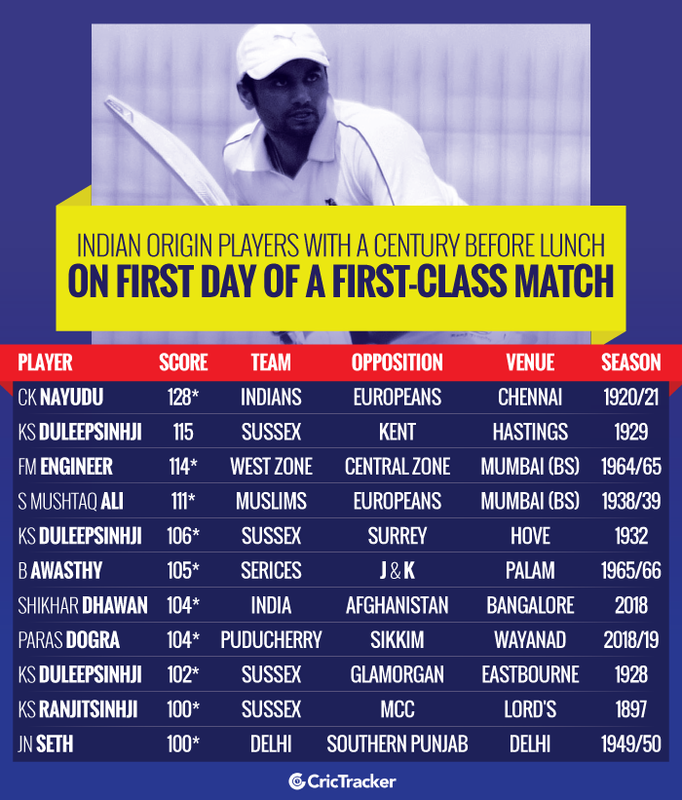 As many as eight Indian origin players have scored a ton before lunch on the first day of an FC game. Of the eight players, Dogra is one of two to achieve it in the last fifty years. Shikhar Dhawan scored one such ton in Afghanistan’s debut Test match earlier this year. Dogra’s 253 runs are also the 2nd most by any player on the opening day of a Ranji match behind Prashant Chopra’s 271 in the last season for Himachal while batting with Dogra. Only four player have scored 250+ runs in a single day’s play in Ranji Trophy thus far.